Come take part in the most fun Kentucky Derby Day event anywhere! 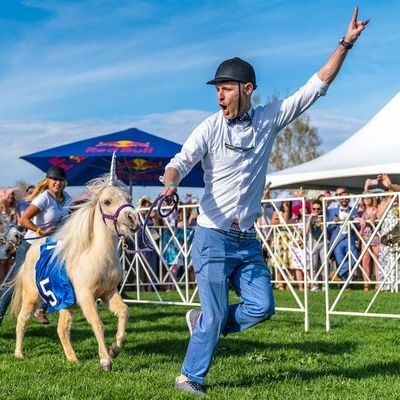 Right after we watch the 145th Running of the Kentucky Derby, we will have our own mini "race" and showing of our adorable mini horses trotting around on site! Massive viewing screen, a great LIVE band and DJ, best dressed contests, open bar, Rolling Smoke BBQ, the corgi races, and an atmosphere like no other are just a few reasons why you can't miss this amazing event here in the city of Denver. Break out your most over the top hat, your brightest pastel pants and we will see you there. The Infield Ticket (GA)This is the ticket to get you in the door with open bar included so you can get ready to party and cheer on your favorite mini horse and corgi! VIPWhen you take your Derby Party a little more seriously than most, VIP is the way to go. All inclusive VIP-only bar with seating and food from Rolling Smoke BBQ! CabanaGet your whole squad together for the ultimate Derby Party experience! Each cabana seats up to 10 people in a shaded tent. You'll get your own bottle service so you can keep the party going all day! Cabana guests also get access to the VIP area and food from Rolling Smoke BBQ. 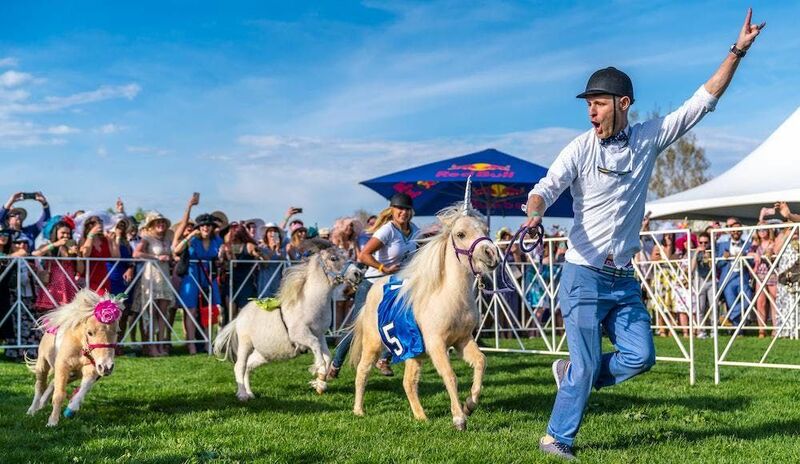 The 2018 Denver Mini Derby brings the spirit of Kentucky Derby right to this great state of Colorado! Join hundreds of your new best southern styled friends for the most memorable social experience of the year! This is a 21 and older event. No children's tickets are available. The event will happen rain or shine, no refunds. The Denver Mini Derby proudly supports Minds Matter of Denver. Minds Matter of Denver is committed to making college education a reality for accomplished high school students from low-income environments since we first opening 2004. Students are paired with two adult mentors and spend time during weekly after-school sessions working on summer and college applications, standardized test preparation, community service efforts, writing and speaking skills, and other life skills that benefit the student academically and personally. How would we know? 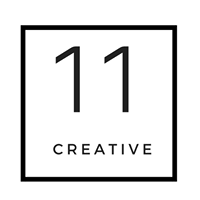 The staff of 11 Creative are also mentors at Minds Matter! If you're interested in learning more, shoot us an email and we will tell you all about it!